Secure Shell (SSH) is a cryptographic network protocol used for secure connection between a client and a server and supports various authentication mechanisms. 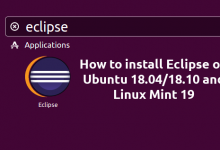 It is also used to transfer files from one computer to another computer over the network using secure copy (SCP) Protocol. 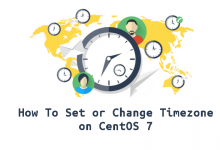 In this article we will show you how to setup password-less login on CentOS 7, RHEL 7, RHEL 8 using ssh keys to connect to remote Linux servers without entering password. Using Password-less login with SSH keys will increase the trust between two Linux servers for easy file synchronization or transfer. In this example we will setup SSH password-less automatic login from server 192.168.1.5 as user rasho to 192.168.1.8 with user miroslav. 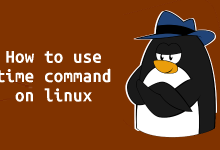 To setup a passwordless SSH login in Linux all you need to do is to generate a public authentication key and append it to the remote hosts ~/.ssh/authorized_keys file. # ssh-keygen -t rsa -b 4096 -C "[email protected]"
Copying the key is a simple task and that can be completed by using ssh-copy-id command as shown. When prompted for the remote user’s password, simply enter it. This will create the .ssh directory if missing and the authorized_keys file with appropriate permissions. /usr/bin/ssh-copy-id: INFO: Source of key(s) to be installed: "/home/rasho/.ssh/id_rsa.pub"
Now try logging into the machine, with:   "ssh '[email protected]'"
If everything went well, you will be logged in immediately. To add an extra layer of security to your server you can disable the password authentication for SSH. Once you are done save the file and restart the SSH service. 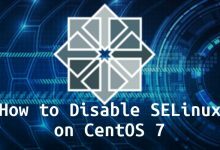 In this tutorial you learned how to SSH to your CentOS 7, RHEL 7, RHEL 8 system using passwordless ssh key. I hope the process was easy. If you have any questions, please post them in the comment section below.